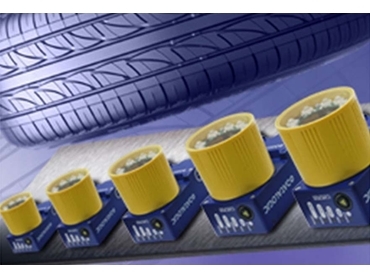 STS400 is specifically designed to address the challenging requirements of tyres identification. Datalogic Automation introduces two new barcode reading solutions to its STS400 offering for bottom reading on conveyors and side reading on hook chain systems. STS400 is a unique tyre solution in the marketplace, specifically designed to address the challenging requirements of tyres identification for tracking and tracing purposes. Through the extension of the STS400 series, Datalogic Automation now offers complete reading solutions for any practical barcode reading application in the tyre industry. MATRIX 410, a real building block for any solution configuration is applied into any arrayed scanning configuration and also into any single reading point in second stage machineries such as visual inspection, trimming or testing machines.